Skincare Routine for Winter: Day and Night! 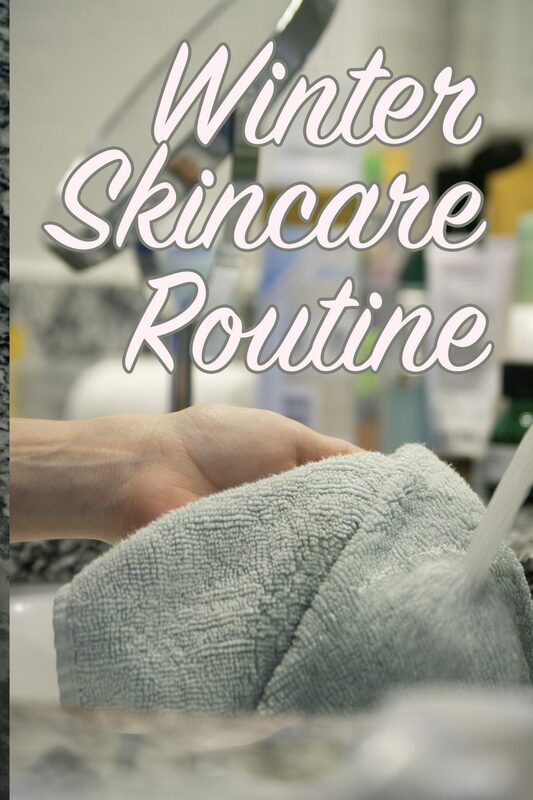 My routine is not too complicated and it doesn’t change too much when it comes to my winter skincare routine. But I have added a few steps that I think really help. 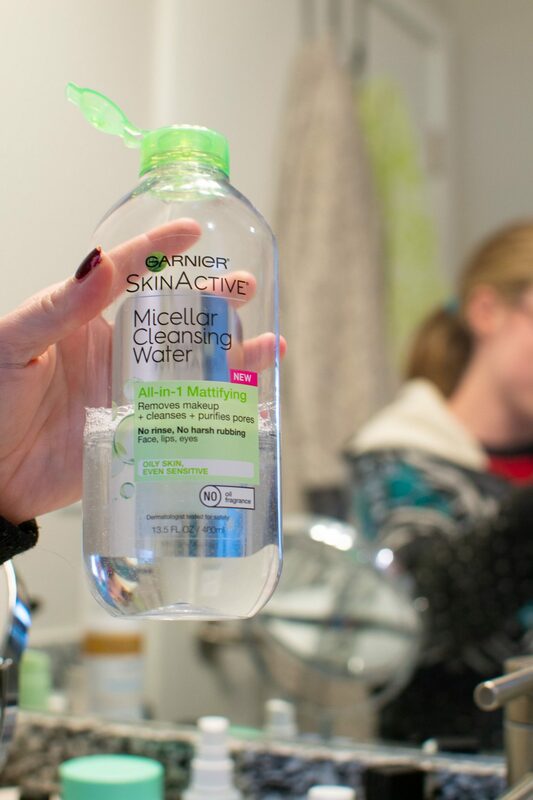 In the morning, I like to first use a Micellar water and toner. My favorites are the Garnier Micellar water and the Body Shop’s tea tree oil toner. The last step in my morning skincare is a moisturizer. 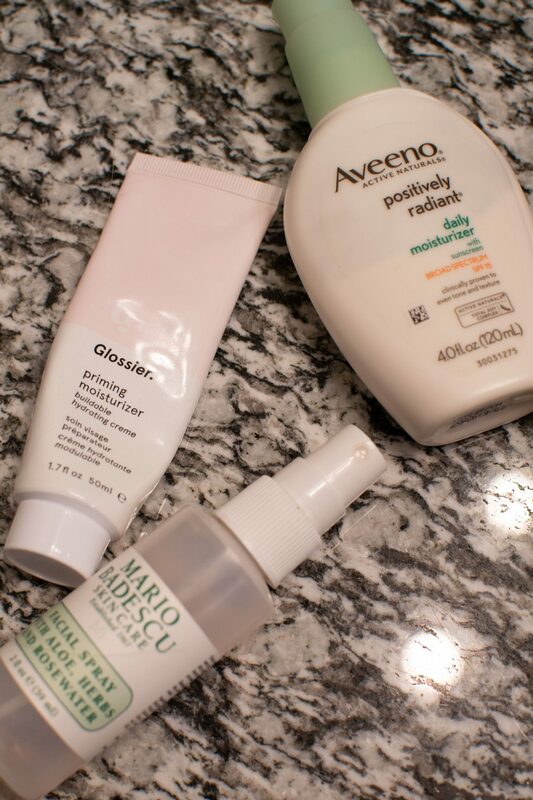 I’ve been switching between two moisturizers – the Aveeno Moisturizer and the Glossier Moisturizer primer. 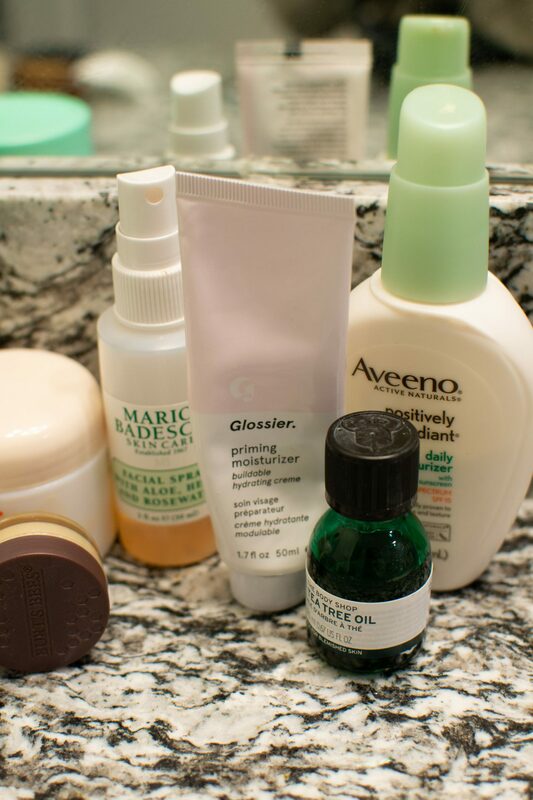 I’ve talked about the Aveeno moisturizer before but my friend gave me the Glossier one because it didn’t work for her skin (Thanks, Michelle!) but I actually really enjoy it! I was worried it was going to be too harsh due to the retinol in it (and I use retinol at night). But it’s actually very lightweight and not harsh on my skin at all (just make sure you apply some SPF before heading outside!). I find this moisturizer leaves my skin moisturized for the whole day and if I wear it alone it adds a nice glow! My friend said it really didn’t work for her when applied makeup but I haven’t found that to be an issue either. 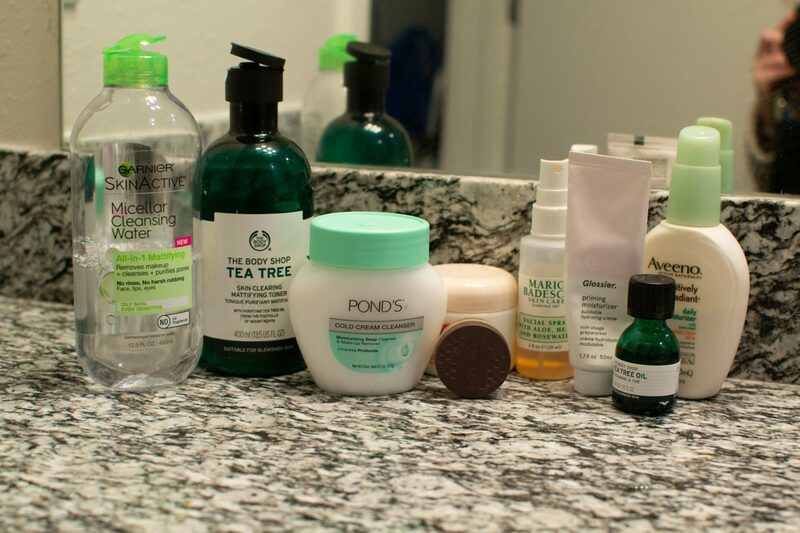 Recently I’ve been switching around my nighttime skincare routine. If I’m wearing makeup, I start off with the Ponds cleanser. I used to use the Liz Earle Cleanse and Polish, which I LOVE but I didn’t feel like paying $23 for it right now. So, I decided to try out a drugstore alternative. And the Ponds one is working great! It’s gentle on my skin but still removes my makeup. For my eye makeup, I just use the Micellar water again. It’s easy and gentle. After I take off my makeup I like to do another cleanse in the shower so I use the Keihl’s Ultra Facial Cleanser. It’s not harsh on my skin and doesn’t dry it out! One thing that has changed is I’ve been dealing with some pretty annoying chapped lips lately. I’ve been dealing with some very chapped lips for a while now, even in the summer! I was getting pretty fed up as I’d tried almost every chapstick I could find at the drugstore. But then I found the Burt’s Bee’s lip scrub. I know scrubs aren’t normally recommended for your face as they can be too harsh but this product has helped my lips SO MUCH! They make my lips so smooth and I just put some Burt’s Bee’s chapstick over once I take it off and my lips feel like perfection!